On the fifth year of celebration of One Day Without Shoes in the Philippines, and eighth globally, throngs of friends of TOMS crowded to Track 30th Park in Bonifacio Global City to walk barefoot—so children don’t have to. 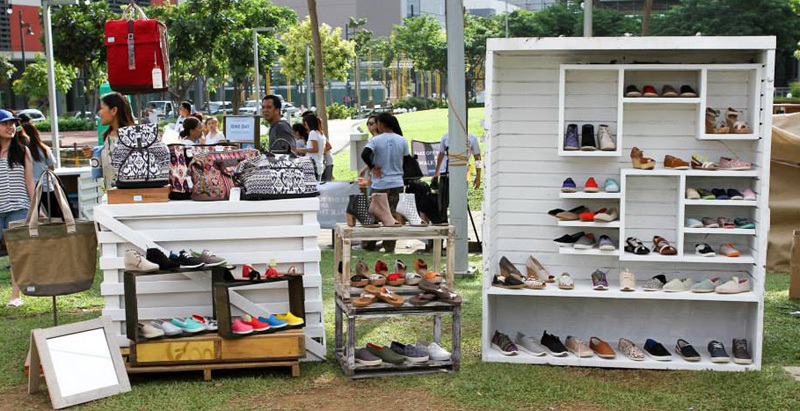 Piles of deserted shoes created an interesting montage: everything from flip-flops to office pumps, high-heeled wedges to sneakers and ballet flats, reminding us about how we are the lucky ones—the ones who are positioned to lend a helping hand to the less fortunate. The event venue—usually a track for runners and health enthusiasts—was transformed into mini fair grounds with the participation of Macho Nacho, Phatboys Handcrafted Ice Cream Sandwiches, Hattendo Japanese Cream Buns, Wingstop, and Pink Berry. 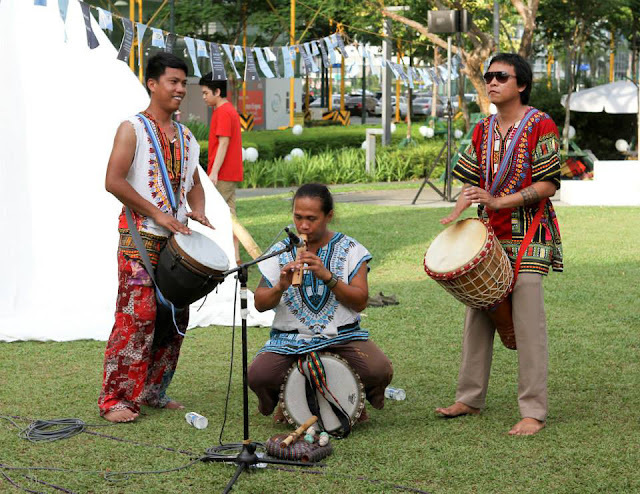 Entertainment was provided by the drum circle of the Adinkra Lumads Djembe Community, and the poi and hula hoop dancers and flow arts performers of Planet Zips. 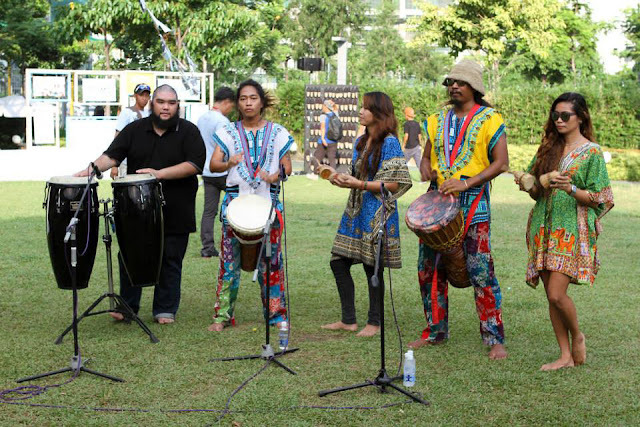 They were joined by ukulele musicians and buskers. The combination of tasty snacks and great entertainment provided the warm ambience of a relaxing walk in the park. TOMS Philippines representatives Dimples and Cookie La’O encouraged everybody to join the cause, which was as simple as participation in this year’s social media campaign. The La’Os, together with the hosts, communicated how TOMS is fully sustainable—how the company’s philanthropy is supported by its sales. The day celebrated an abandonment of vanity and comfort to join in solidarity with the millions of children across the globe that do not have access to basic footwear—something we often take for granted. 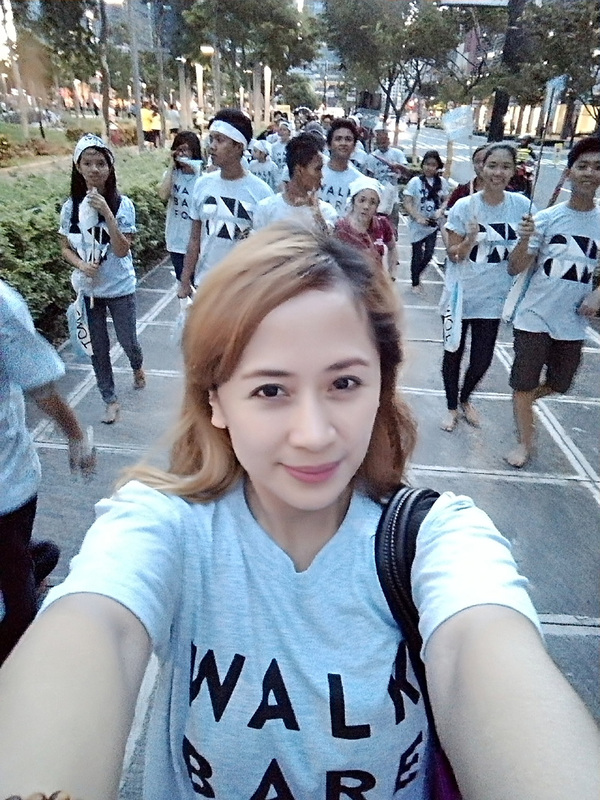 and even AXN’s Asia’s Got Talent host, Marc Nelson, followed the hosts of the event in a tour around the upscale neighborhood of Bonifacio Global City—barefoot!—while cars waited patiently for the crowds to pass, traffic marshals ensured the safety of all, and phones snapped tons of barefoot photos in support of the online campaign. During the annual celebration of its anniversary on May 5 leading up to One Day Without Shoes on May 21, TOMS waived the initial purchase requirement. 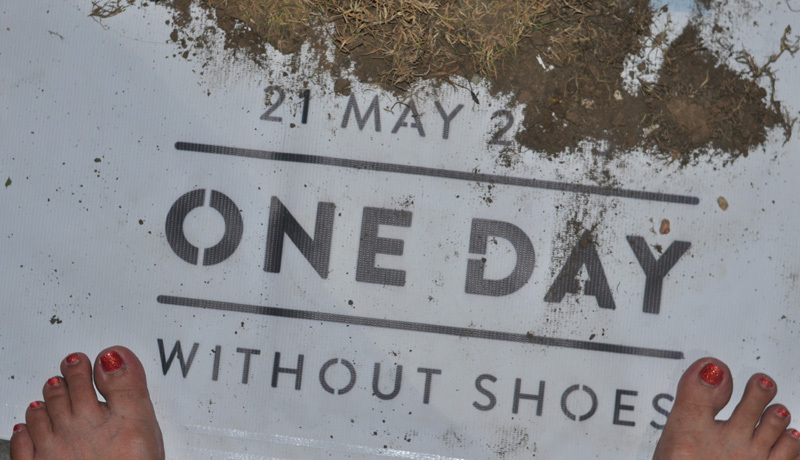 All the participants had to do was use the tag #withoutshoes on Instagram. 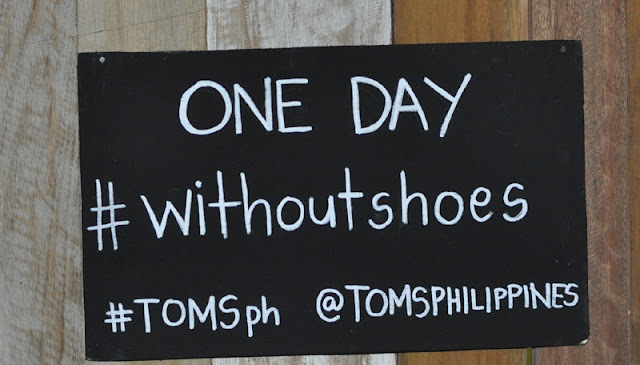 The photo was counted towards the number of shoes that TOMS will be giving this 2015 to children in need. 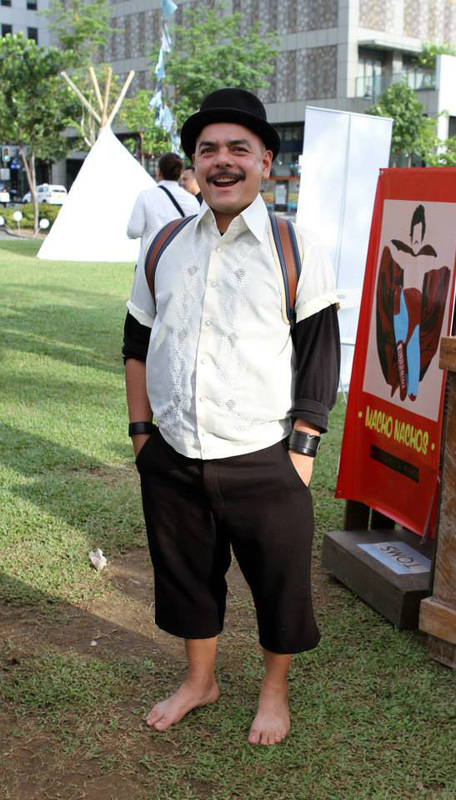 This year, thousands of Filipinos posted photos of their bare feet on Instagram—the solidarity was inspiring, especially from a country that is both a giving country and the recipient of shoes from other countries. 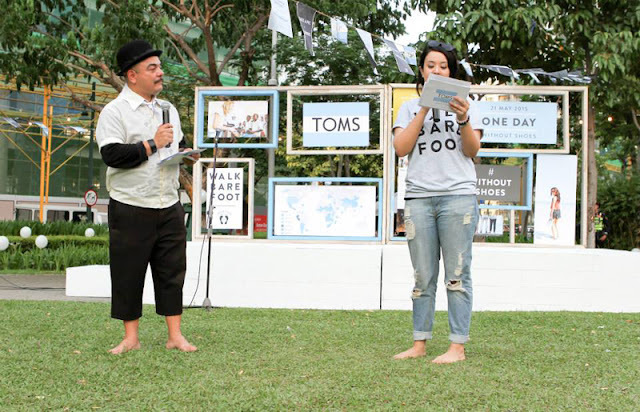 This year’s One Day Without Shoes hosts were multi-hyphenate host-actor-author Victoria Herrera and heritage conservationist social advocate Carlos Celdran. Celdran and Herrera, old friends, joked around, providing entertainment and a sense of humor on a hot and humid day, but all that playfulness was the spoonful of honey for the important takeaway: how everyone there, by going out of their comfort zone for a few minutes and exposing their soles to the elements, exposed their souls to true love for mankind. 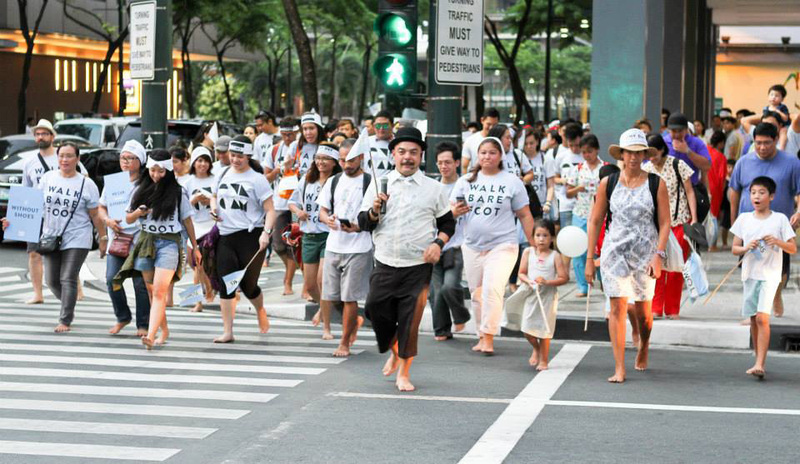 All over the world, hundreds of thousands walked barefoot on May 21, and nearly 300,000 people posted their bare feet on Instagram. Entries came in from the USA, Europe, Asia and Australia, with photos of feet at home, on tour, watching TV; at the beach, by the riverside, in bed, at the office; playing, working, relaxing, sleeping; at sunrise, at midnight, at sunset, at high noon. The movement attracted the participation of thousands globally, from adults to yuppies to senior citizens to babies to “fur-kids”(the bulk of which celebrate One Day Without Shoes on a daily basis anyway). Thanks to the global participation, exactly 296243 children will receive a new pair of shoes each. 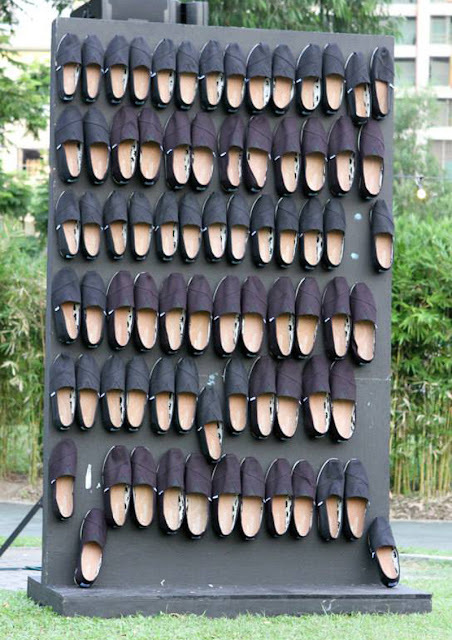 To put this number into perspective, TOMS reached 1 million shoes given away in 2010, just four years after the company was launched. 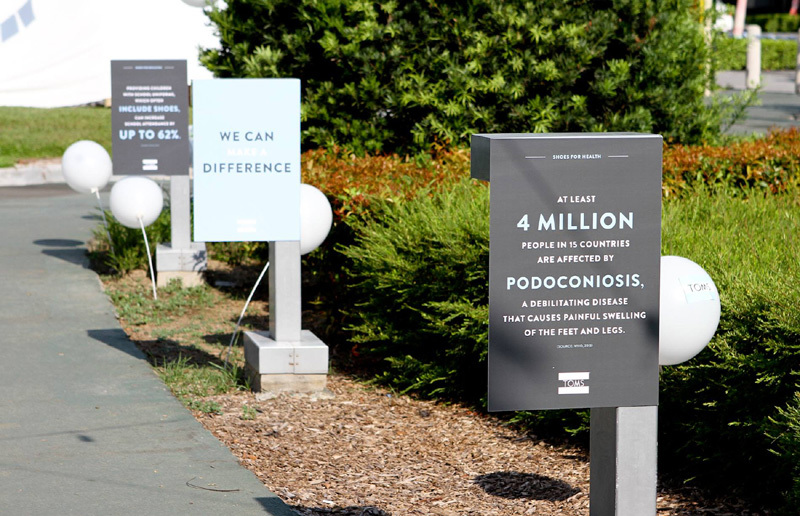 With this campaign, TOMS was able to give almost a third of a million in a matter of two short weeks. 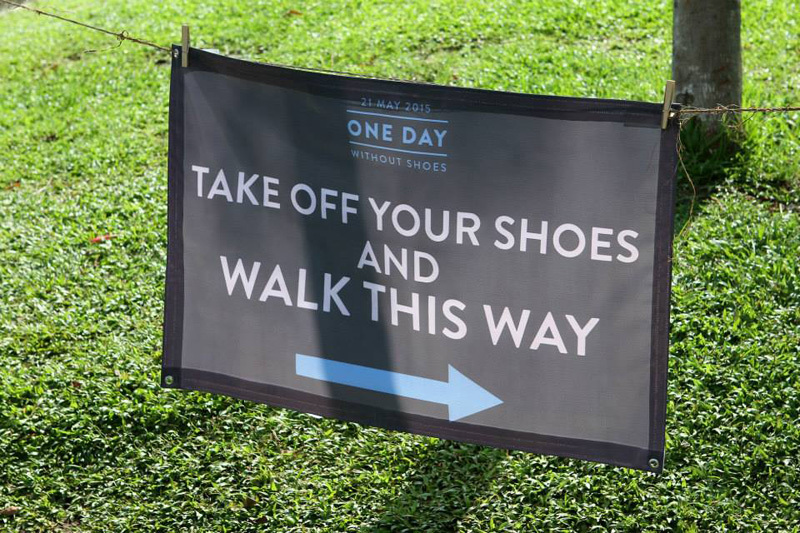 The giving does not start nor stop with One Day Without Shoes. 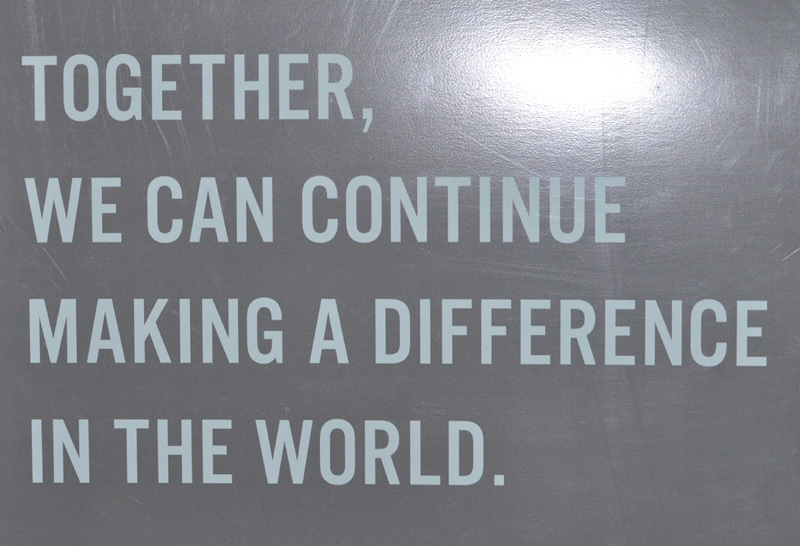 TOMS’ four product lines—shoes, eyewear, bags, and coffee—all support marginalized communities. The products were developed after the company identified a need that had to be fulfilled—as opposed to finding a cause to support a product. 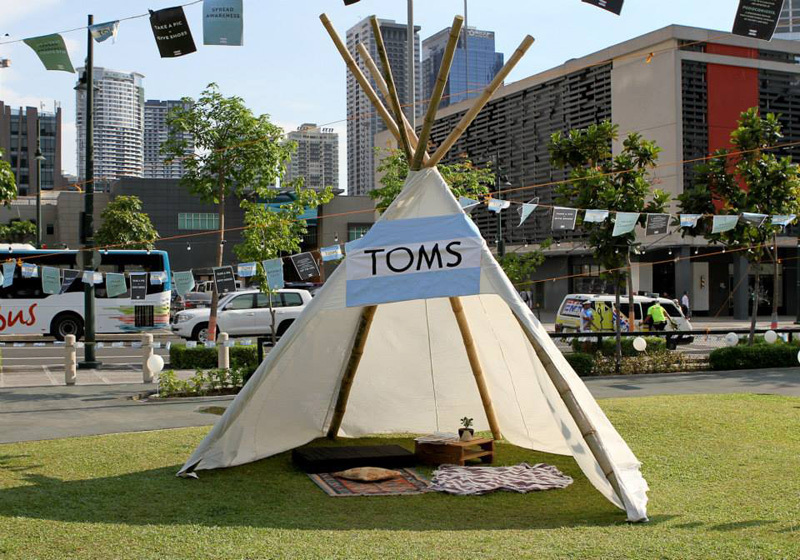 Sales from TOMS Roasting Co., which is not yet available in the Philippines, support water systems in seven countries. 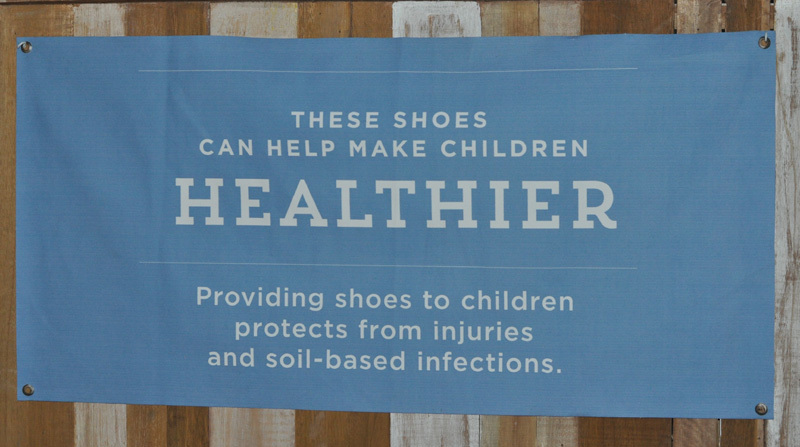 Each shoe purchase from TOMS gives a new pair to a barefoot child. For every eyewear purchase, TOMS helps to restore sight to individuals through sight-saving surgery, prescription glasses, or medical treatment. TOMS Bags, in stylish shapes, colors and sizes, provide training for skilled birth attendants and the vital materials needed to help women give birth safely. All of these initiatives are evidence of TOMS’ sustainable One For One Movement. 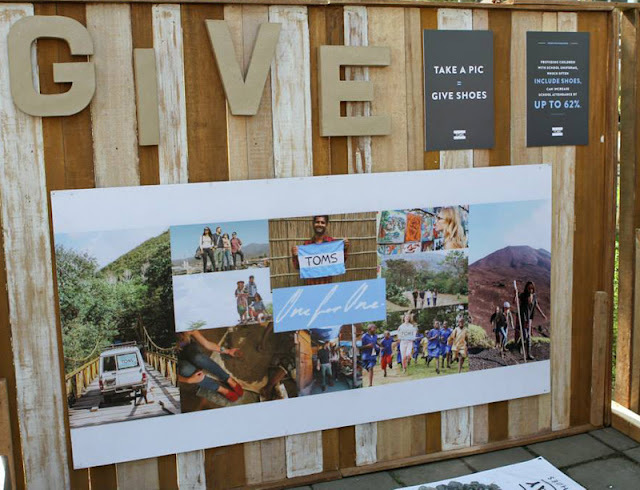 TOMS stands for Tomorrow’s Shoes, and the company’s philosophy itself is the future of business: for-profit, sustainable, fashionable, and caring. TOMS is a brand that enriches the lives of everyone it touches—from the fashionable trendsetters that sport the stylish products to the members of the receiving communities that benefit from the One For One model—making the world, truly, a more beautiful place to live.